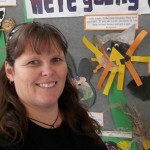 Kia Ora, my name is Karen Wyatt I have been the Head Teacher/Manager at Freyberg Preschool since April 2007. I have a Diploma (ECE) Teaching and I am a fully registered teacher. 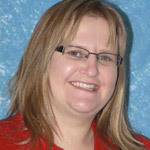 I have worked in kindergartens and childcare centres since 1987. I live in the Waitakere Ranges with my partner. I have an older daughter who lives in Devonport. I can’t claim to being born and bred in West Auckland but have lived out west since I was 18 months old. I believe it is my job as a teacher to provoke childrens love for learning and to create an environment that motivates, enhances, challenges and extends children learning and development. It is important to me that children start school as competent and confident learners ready to continue their learning in the primary school environment. Feel free to drop in and meet us all anytime. 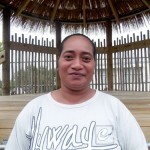 My name is Diana Mata’afa and I have being working at Freyberg Preschool for 7 years. I am a New Zealand born Samoan, brought up with my cultural values and beliefs and have lived in West Auckland all my life. I am married to Solomona and we have 3 children. Our 14 year old daughter is in college, our 11 year old son is in Intermediate and our youngest son is in his first year of school giving me experience to working with different levels of learning. In the years I have worked at Freyberg, I have being able to see the many changes and developments and be part of it. 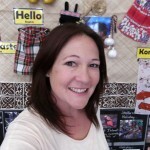 I can confidently incorporate my knowledge of Te Reo and tikanga Maori and aspects of my Samoan culture into my teaching practice. I value children’s wonderful thoughts, their motivation and interests and they are just full of surprises, making each day I work with them unpredictable. One thing I can always guarantee each day…..is have a good laugh and of course, lots of fun! I enjoy working with children, seeing the learning and development that takes place and the uniqueness every child brings. Kia Ora, my name is Jade. I graduated from AUT (Auckland University of Technology) in 2010 with a Bachelor of Education, specialty early childhood education and have been working at Freyberg Community Preschool for almost 2yrs now. I have two children, both who once attended this preschool and now attend Freyberg School. I have lived in west Auckland my whole life and currently live in the Waitakere Ranges with my husband and two children. Central to my philosophy of teaching is the belief that learning and teaching is committed and respectful partnerships between children, teachers and their whanau. I seek to facilitate an environment where children feel safe to challenge, query, take risks, ask ‘why’, and to explore their skills as natural researchers and to be engaged in their play in which they learn about their wider world. I believe children learn best through their experiences; their interactions with other people and with their environment and I hope to make these experiences as meaningful as possible for the children who I work alongside. I have a passion for nurturing and building strong relationships with young children and their whanu by providing a safe, secure and nurturing environment. I love my job as an early childhood educator, and I like to have fun, to laugh and enjoy the individual personalities of all children at preschool. I look forward to meeting and getting to know you and your family/whanau. Hi my name is Kylie. I have been at Freyberg Community Preschool since October 2014 after completing my Bachelor of Education (Teaching) Early Years at the end of 2013. I live in Waitakere with my husband and children on a small lifestyle block. Having children of my own has led me into the journey of teaching. I believe that children in early childhood learn through self initiated play, therefore as a teacher I like to challenge and extend children in their play experiences.